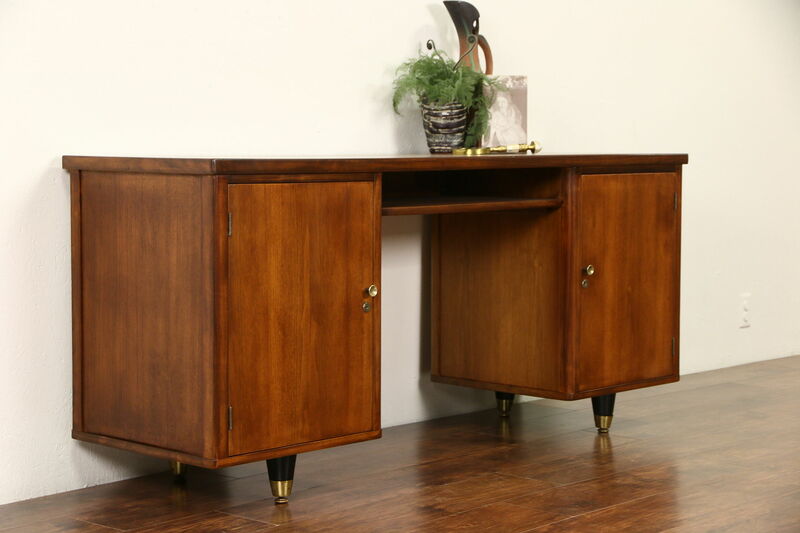 Made for a Wisconsin law office in the 1950's, a Midcentury Modern desk or credenza is walnut. The matched grain has an excellent restored finish on all sides of this American made vintage office or library furniture. There is no key, dimensions are 55" long, 20" deep, 29 1/2" tall and the kneehole is 27" wide and 24" tall.